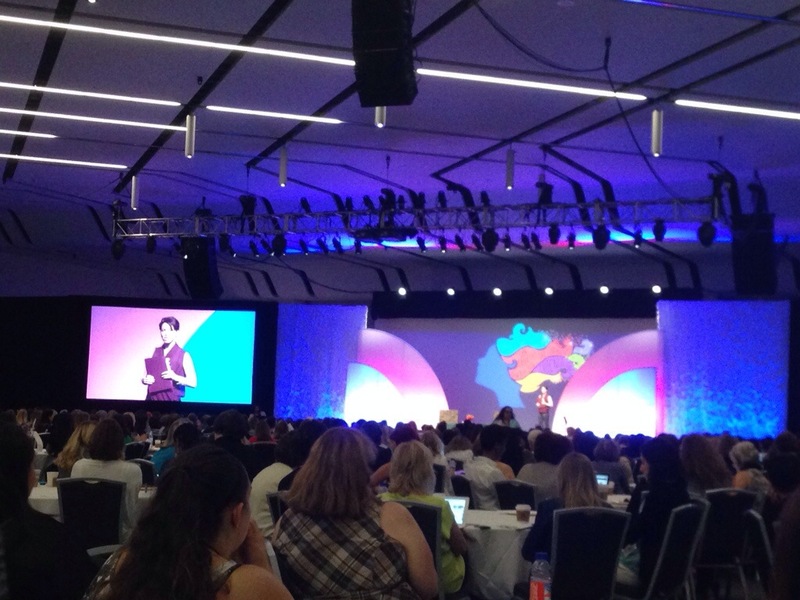 This year was my first year attending the BlogHer conference. I have always wanted to go because I heard that it is THE BEST blogger conference around. And if you’re going to pick a conference to go to, this is the one. I was really excited to check it out. 1) The KeyNotes: I thought they were well done and highly engaging. I loved the Keynote with Jenny Lawson aka The Bloggess. She was so real and funny and said the f word a lot. I really enjoyed hearing what she had to say. I missed the keynote with Ariana Huffington and Guy Kawasaki on Saturday morning but I heard they were great as well. 2) Meeting New Bloggers – Sometimes I feel like I get into a niche living in Southern California and I really wanted to meet some bloggers from other parts of the country. I met some fantastic new bloggers in all different topic areas and it was really fun to sit down and talk with them about all sorts of ideas. 3) Re-Connecting with Fellow Bloggers- Fit & Awesome was started in November 2012 and when I started this site I had NO IDEA about the community that would grow as a result of this site. I feel so thankful to you, my readers, and to everyone I’ve met along the way for making it so rewarding to share my health & wellness journey online with all of you. There’s no price you can put on a face to face connection, and I really value being able to reconnect and see people I’ve met along the way face to face every now and then. You should follow her on Twitter. She rocks! I attended one workshop about how to monetize your blog. Most of it was not news to me, but there were a couple great ideas that were shared that I’d love to try and do more. Perhaps there might be more video in Fit & Awesome’s future! If I could think of one thing to improve BlogHer moving forward, I would like to suggest organized meet ups for bloggers of specific topics. 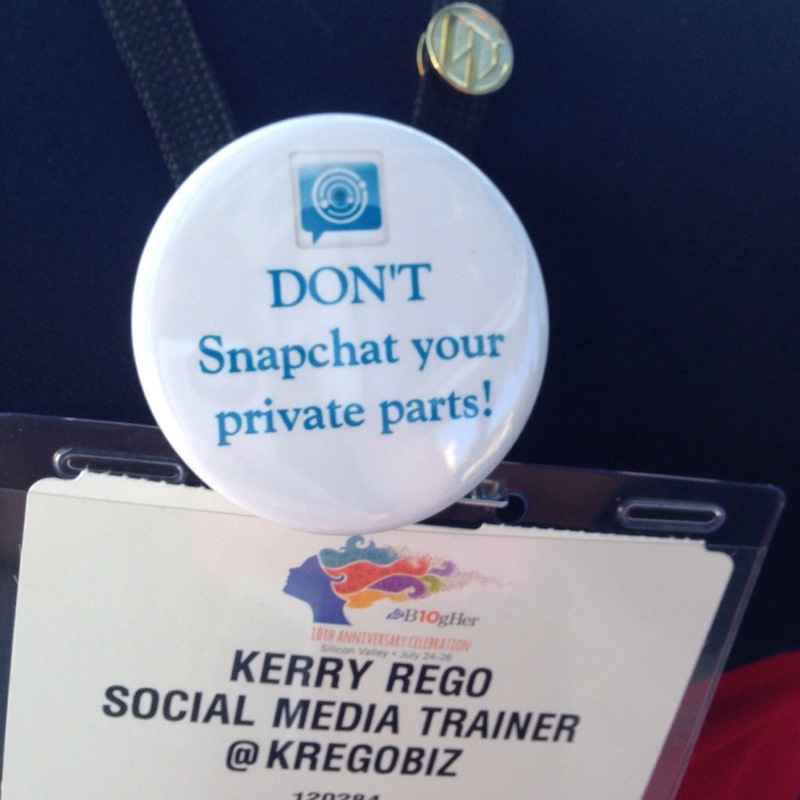 Or get brands to host meet ups for bloggers of specific topics. I would have really loved to connect with more health & fitness bloggers at the conference, but I didn’t know who they all were and how to get in touch! I think doing something like this could be very beneficial in the future. Thanks so much to the folks at BlogHer for bringing all of us together. Will I be back next time? It’s too early to tell, but I sure hope so! What about you? 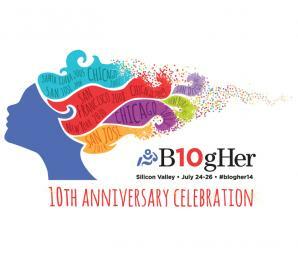 Have you ever been to BlogHer? Would you ever attend a blog conference? Post in the comments and let me know. I loved seeing you – all of you!! Loved seeing you as well! Wish we could have done a health & fitness blogger meetup. Maybe another time! Yeah, mini-networking sessions would have rocked. What is your niche?